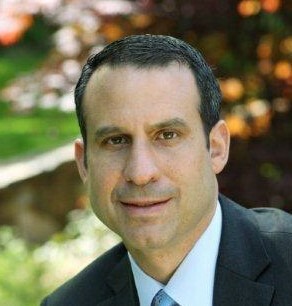 Jeffrey Koslowsky - Scarsdale Premier Insurance Agency | Advocate Brokerage Corp.
Jeffrey Koslowsky is Chief Financial Officer of Advocate Brokerage, joining the family firm in 2007. An attorney by training, he practiced law with Liddle & Robinson LLP, before moving into the financial and investment banking fields. Jeffrey became Executive Vice President with Gerber Finance in 1996, and in 2008 founded his own firm, Indigo Asset Management LLC, which specializes in acquiring and originating Commercial & Industrial and Commercial Real Estate loans in the secondary market. A graduate of Fordham University School of Law, Jeffrey is a strong supporter of the Scarsdale community and several area charities. He has served as a firefighter and officer of Scarsdale Volunteer Fire Company 3 since 2001 and as a member of the Wilmington Fire Department in Vermont since 2017. He has served on the boards of various local charities, sports, and civic organizations, and currently is a board member for Steve’s Camp, a charity focused on preparing at-risk teenagers from the greater New York City area for college through its summer camp and year-long programming.